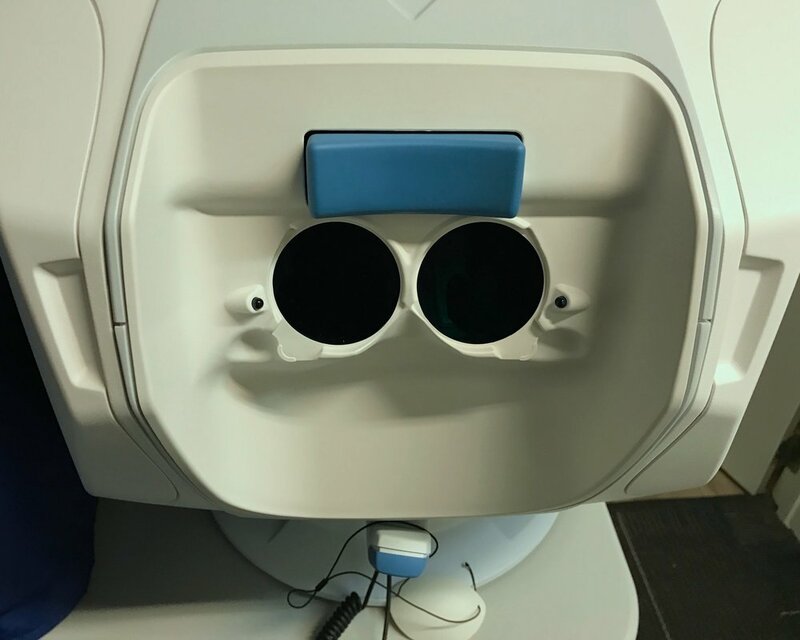 In our 10 years of business, we’ve collected quite a few fancy machines that help us do what we do best; making sure your eyes are healthy and get you seeing as best as you possibly can. 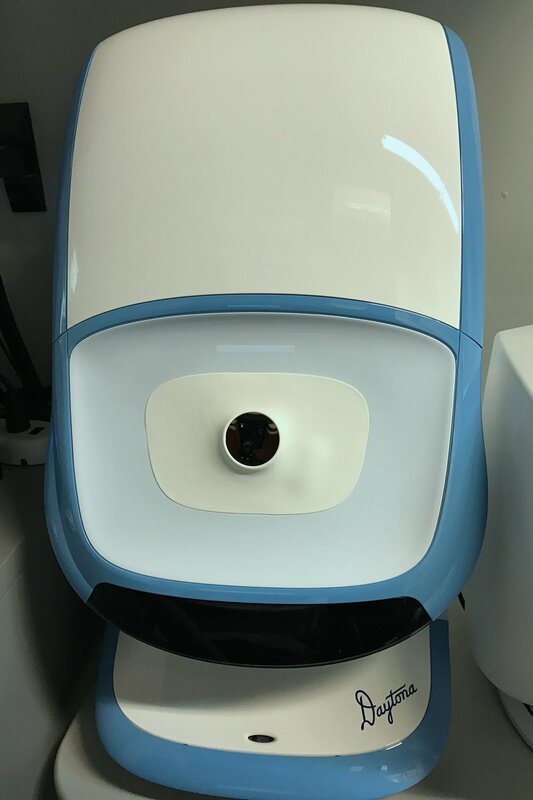 After having several patients, ask, “What’s this, what does it do?” we decided to put it up on the site for those of you who are a bit curious. Allows the optometrist to see a wide angle view of your retina and give a snapshot of the health of your eye. It is extremely useful to the optometrist, but to the rest of us, the photos look like a weird thunderstorm. Simply put, this is what we use to screen all patient’s peripheral vision. If you’re noticing that your visual field has changed, you should contact your physician or optometrist immediately, as visual field changes often are related with systemic diseases in the brain. Measures your internal eye pressure (interocular pressure) without the use of eye drops or that crazy air-puff machine that traumatized us years ago. Measures your internal eye pressure (interocular pressure) as part of the optometrist’s glaucoma screening. Requires drops but gives a more accurate reading.